Pineapples might just be the cutest fruit that ever existed. 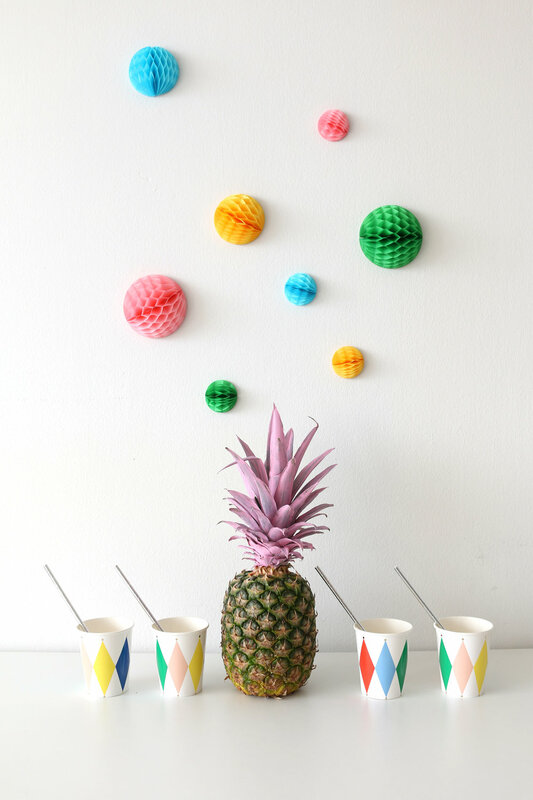 Clearly the trend has taken well and there is all kinds of pineapple decor out there. So here at LMP, we decided to try out using a REAL pineapple as a centerpiece. To spruce it up, we decided to add some color. 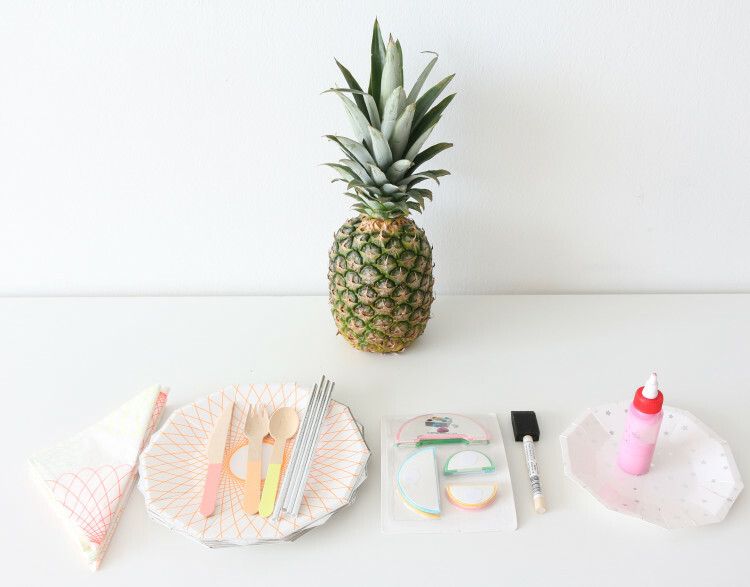 All you need is a fresh pineapple, acrylic paint, and a sponge paintbrush. We also added some fun plates from the Everyday Soiree Box and pop-up wall decals from Ikea. The first step is to pick a paint color and pour it generously onto a plate. 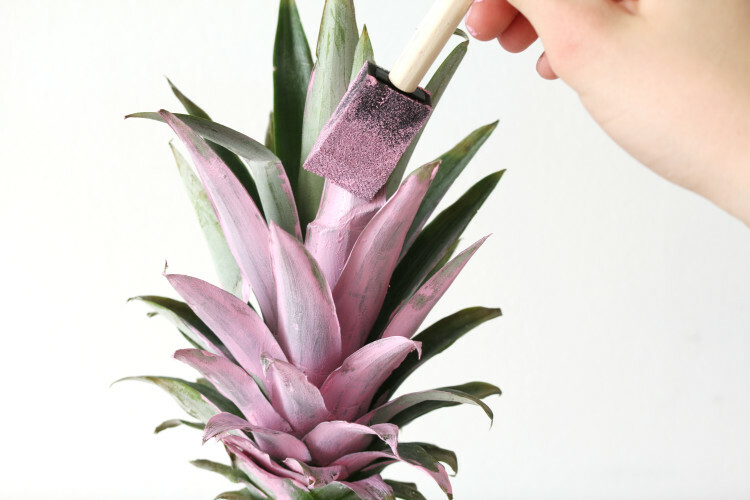 Use the sponge brush to paint the top of the pineapple. Push the soft edges through all the crevices so you don't have any green spaces showing through. The pineapple is done! Easy as that. For some extra cuteness, we used these little paper pop-ups from IKEA. They have adhesives on the back to stick to the wall. Just like that, we have a set-up that's ready to become a party! Best part about this centerpiece is that when the party is over, we can dice up that pineapple for a smoothie! Can't wait to use this easy DIY all summer long.